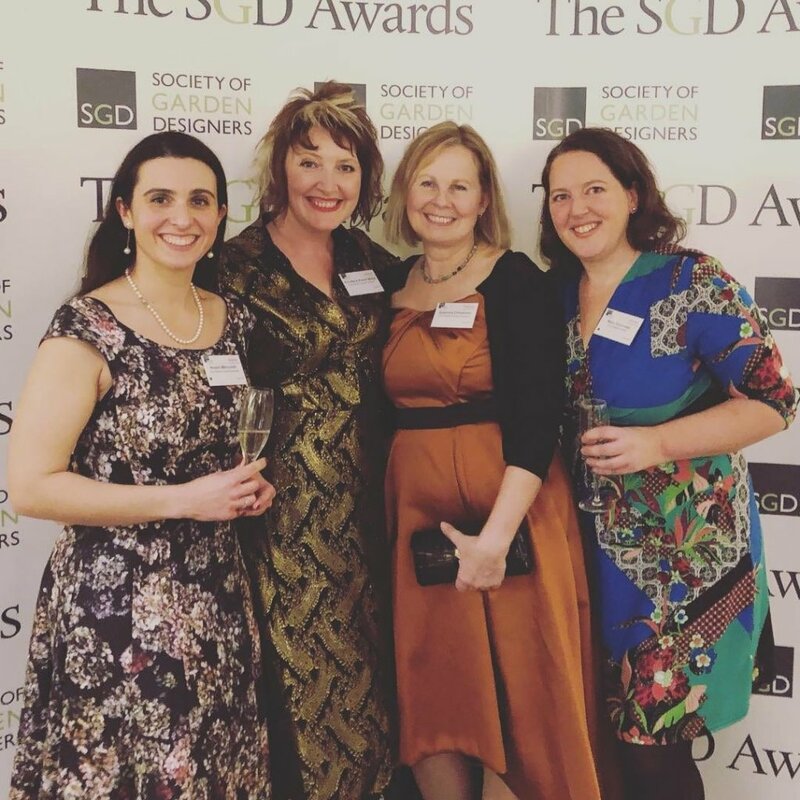 Last week saw one of our industry’s most hotly anticipated events, as the great and the good of the garden design world gathered together for the Society of Garden Designer’s 2019 awards. Here at AMPG we love any opportunity to put our glad rags on, and so we were all delighted to receive lovely invitations from Marshalls, Hardscape and Harrod Horticultural to join them for the glittering champagne evening of champagne at the Landmark Hotel in London. This year, Ann-Marie was asked to sit on the judging panel for the awards, which is a huge honour. We hoped this would give us the inside scoop on the winners, but no matter how hard we tried, she let nothing slip! Congratulations to all the winners! It was fantastic to see so many women nominated and then winning awards. We often seem to be under-represented at the top level of the industry despite the fact that there are still many more female members of the SGD than male, so it’s particularly inspiring and encouraging to see their designs being recognised and celebrated by the SGD. The highlight of the evening was the Lifetime Achievement Award, given to Piet Oudolf in recognition of his outstanding contribution to the landscape and garden design profession. His beautiful books and innovative planting designs have inspired all of us to create magical planting combinations for our clients. It is a huge honour to think that our new Wildlife Garden and World Food Garden for the RHS will stand alongside his at RHS Wisley. Huge thanks to the SGD and sponsors Marshalls and Homes & Garden and our hosts Hardscape and Harrod for a fabulous evening. We’re already looking forward to next year!